As we all know, travelling to a new destination is full of excitement and adventure. 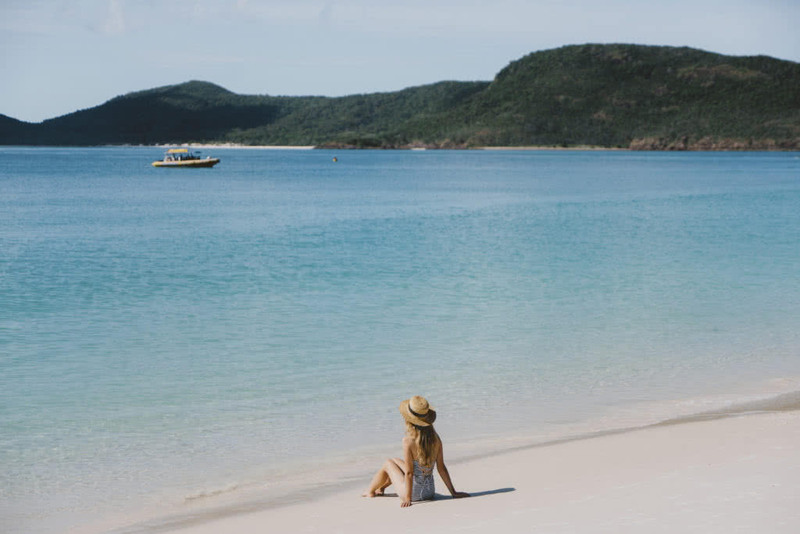 If you are visiting the Whitsundays for the first time or a repeat visitor looking for some local information, then here is our pick of the best beaches to visit and why. Often overlooked but never disappointing the beach at Chance Bay is just stunning at any time of the day. The perfect anchorage for overnight in the northerlies, Chance Bay provides access to the Solway Circuit walking track which will take you up and over the headland (with stunning island views) over to the south end of Whitehaven. If this sounds too energetic, then just relax on a blanket at sunset and enjoy birdsong as the yacht bob about in the distance. The beach off Monte’s Reef Resort is definitely worth a visit. Whether you are anchored in the bay, are driving from Airlie beach or arrive via helicopter, enjoy a spot of lunch at the popular Monte’s and then stroll along the beach and around the corner to the Cape Gloucester Eco resort for a coffee. There is little or no coral directly off the beach, so it makes the perfect place for a swim at high tide. There is some good fishing off the rocks to the right of the resort at the right tide and if you are staying at the resort, they have a boat ramp which can be used to launch and explore. The Whitsunday icon that is Whitehaven beach is an absolute must see for any visitor. The sand is 98% pure silica, this is what makes the sand gleaming white and soft to touch. Fly in via seaplane or helicopter or choose one of the day trips from Abell Point Marina, swim in the azure waters or write your name on the sand – get the cameras ready it will definitely be selfie time. If you are taking your own boat there, arrive late afternoon as the day visitors depart and enjoy the sunset or the sunrise with the beach almost all to yourself! A short drive from Airlie Beach is the township of Dingo Beach. With a swimming enclosure for the summer months, a vast stretch of golden sand, some great fishing spots and a shoreline abundant with shaded trees this is a great way to spend an afternoon and explore the Whitsunday mainland. There is a unique pub just back from the beach, which serves great value meals and has live music at the weekends. Sold as one of the only pubs in Queensland where you sit with the sand in your toes whilst enjoying a cold drink. Anchor at Tongue Bay and talk the rainforest walk up to the Hill Inlet lookout. Marvel at the swirling sands which change with the tide. Walk down to Betty’s Beach at the other side of the headland and enjoy an afternoon swimming in the warm azure waters. You are guaranteed to see schools of stingrays in the shallows and sea eagles flying high, this is one of the Whitsundays little gems.